You'll be £19.99 closer to your next £10.00 credit when you purchase The Devil's Workshop. What's this? 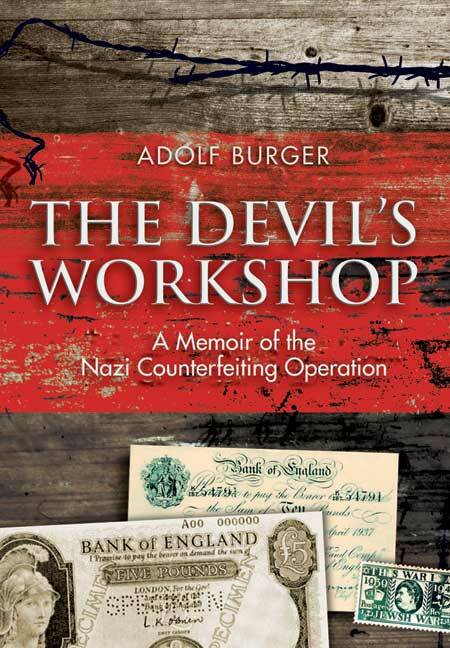 In this extraordinary memoir, the sole surviving Czech counterfeiter Adolf Burger describes his wartime experiences, including the murder of his wife Gizela in Auschwitz and his time as a prisoner in four concentration camps. He was working as a counterfeiter until his liberation from the Ebensee camp on 5 May 1945 and was present at Toplitzee lake on July 5th 2000 when thousands of forged notes were brought to the surface. Adolf Burger was a consultant for the film The Counterfeiters, winner of the 2008 Foreign Language Oscar. His memoir has been published in Hungarian, Persian, Japanese and Czech. He passed away in December 2016. Adolf Burger author of 'The Devil's Workshop' was interviewed by The Times' Miriam Craig during a visit to England and attended a special screening of the film 'The Counterfeiters' - based on the real life events detailed in his book, he also attended several interviews during his visit. A gripping narrative of one of World War II's most extraordinary events. Burger brilliantly combines energy, pathos and some remarkable archival evidence to provide the definitive counterfeiter's tale. I came across this book when the author was interviewed in one of the broadsheets, in February 2009. He had just visited the Bank of England, some 60-odd years after he had been forced to forge British bank notes. The book does not focus entirely on the forging aspect but is broadly autobiographical, including a harrowing account of the author's incarceration in Birkenau & Auschwitz. Indeed, the book is entirely worth reading just for this account in itself. The latter half of the book describes the author's miraculous selection from the death camp and his subsequent deployment within the forging Kommando at Sachsenhausen. It's important to note that while living conditions were better - how could they not be - the forging inmates were all still utterly convinced they would eventually be executed. Given the secrecy surrounding the project, how could they be allowed to live? The book is extremely well-written and for those with a more academic interest, includes documentary evidence, plus illustrations of the innocents and the guilty. The author clearly does not seek pity, yet achieves one of the most moving texts I have ever read. The factual episodes, such as the more technical aspects of forging are explained in a concise, intelligent and erudite manner. The story of Adolf Burger, a Slovakian Jew forced by the Nazis to produce counterfeit British banknotes, is utterly compelling.